In this article I’ll discuss the results of a recent marketing study’s results as they apply to San Antonio, and provide a few examples of how I overcome the study’s challenges. 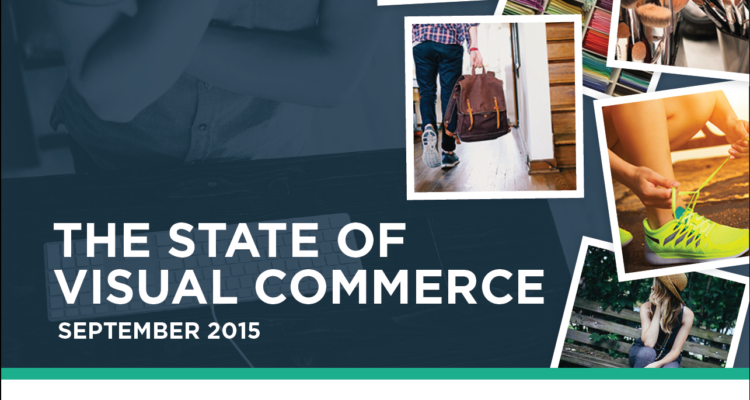 What is important about The State of Visual Commerce? 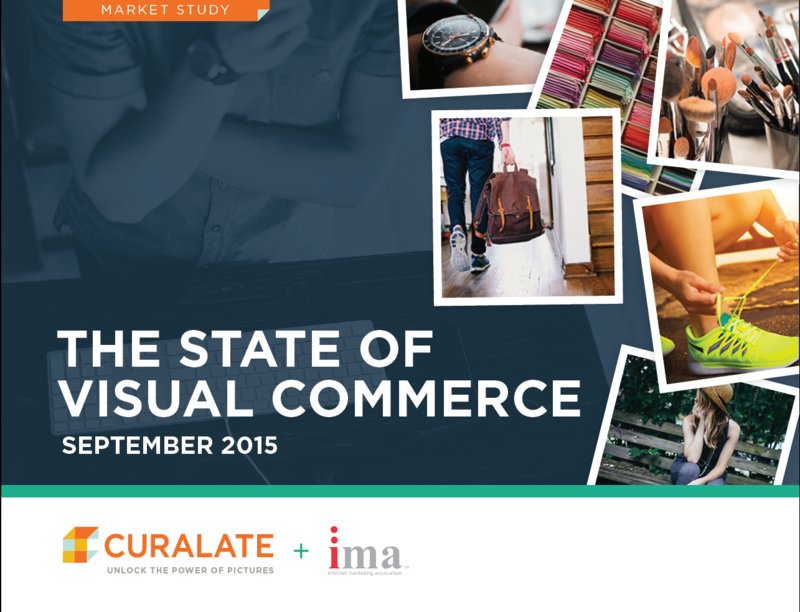 My new friends at Curalate commissioned a survey with the Internet Marketing Association. I had the honor and privilege of meeting Matt Langie, Chief Marketing Officer of Curalate at IMPACT15 last week where I was internationally recognized as the 2015 Distinguished Certified Internet Marketer. Being my first conference post-Army I was eager to meet and chat with professionals in my new industry. One person in particular was Matt. Matt both honored me in the keynote, and later in the day he carved out 10 minutes to chat with me. As a sole-proprietor with several family owned and run companies as clients in San Antonio, my professional knowledge and marketing acumen not only provides for my family, but also impacts the livelihood of several local families. No pressure, right? Well as a participant in this research study I was very interested in the results. There are several reasons why the results are important to me. As an Internet marketer with agency level ambitions my efficiency and results determine to a large extent the profit margin per client. Higher margins for my business provide the capital to hire talent, market my company’s services and acquire new tools to improve my marketing results. Consider this, I have to effectively be the part-time CMO for three big clients and consultant for a handful of smaller clients. Each client has fired several marketers or agencies before retaining me. Each client reads just as much on Internet marketing as I do. So, they’ve been around the block. My unique value proposition is I’m small, lean and flexible. However when I propose something out of the norm, not main stream, not in-line with what we are all reading, eyebrows lift in meetings. The stakes are high, and my local market is becoming ever more saturated with “I know a guy who can do this cheaper” type leads in my pipeline. Lately my focus has been on growing my existing clients and passing on resource drains. It’s worked tremendously. I’ve had one client in front of his customers tell me 2/3 of his business comes from what I do, another client cancelled his Angies List advertising to increase with me, and many others rely on my services in a similar fashion. It’s humbling. It’s also extremely important that I keep getting it right for my clients to produce the results they’ve seen, and make plans based on those historical results. Of note, 80% of my clients disclose their financials to me to both analyze year-over-year results and plan for coming years. My relationship with the big clients who help me pay bills and grow this company is very close. For many reasons, for the overall business success, and for everyone involved with McCrossen Consulting the research study I participated in provides me with much needed data. The above paragraphs hopefully did more than briefly provide a framework for the environment in which a sole-proprietor Internet marketer like myself operates in. The intent in this section was to provide a taste of how serious my daily work is, the families that rely on my results, and the sources I turn to help me be a better marketer for my clients. The entrepreneurs reading this article know the above is 5% of the daily challenges. However every marketer or business owner trying to market their brand understands what’s at stake when you spend capital on marketing. From my perspective The State of Visual Commerce confirms several strategic issues I’ve identified in efficiently marketing a creative for a client across multiple digital platforms and media channels. Know thy client, know thy market. Thou shalt innovate! Roughly a year ago a handful of major decisions were made in my office. One, reduce spend on stock graphics. Two, buy a DSLR. Three, acknowledge that video is king in marketing… but continuously remind myself and clients that there are more pawns than kings on the chess board. These decisions are a few of the many I made in 2014 when I decided that Internet marketing is my post-Army career. There are many more, like seeking certifications, attending conferences, publishing more, and hosting my own conferences. However I want to focus on these three as they directly connect with the research study. Each client I have has a different success story, different mission, different goals and values. Early on my focus was SEO. Purchasing a cheap stock image for a SEO blog post was sufficient. Sadly, that’s all I thought was needed. My focus was so narrow on Google page 1 that I failed my clients with short term thinking. From 2012 as a freelancer to March 2013 when I formed my LLC and finally until April 2014 I was trapped in a very narrow minded business model. My model lacked the appropriate representation of my clients’ brand. My model lacked the respect for the San Antonio market in that I presented stock creatives to my clients’ audience. My model lacked innovation required of professional Internet marketers. When I approached my clients to make big changes in the scope some were hesitant, some were excited and others left. Yes, I lost a client. Briefly touching on that loss… I landed all the money keywords on page 1 and they profited greatly in the year I worked for them. Effectively, it was maintenance after that first contract and so they were prime for the types of marketing tools I wanted to use. They passed for a cheaper but larger agency who only sold them on SEO stating that I probably chose the wrong keywords and they should have made more money. Months into it they couldn’t get out of the contract with the new agency. But we still chat, and they observe what I do with other clients. The happy ending here is that they observed my change in Internet marketing strategies and tactics and were able to assign employees some tasks. Sadly, the new agency targeted the wrong keywords for my former client so 2015 didn’t look like 2014 for them. Yet by observing me and having employees authentically market the brand on social media with platform specific creatives, they are still in business! The clients who did jump on board with my new creative approach have all reported back that 2015 was an amazing year. What’s reassuring for me is the we still have Q4 2015 and everyone is happy with the ROI without considering revenues form Q4. The big change I reference at the strategic level is my focus shifted from lead generation to brand engagement. It was a taxing decision for me. I had a good thing going being known as a good SEO in San Antonio. Committing to focus on branding engagement over what the market wanted in early 2014 (lead generation) would require different skills, different vision, and tools. It was difficult to change because prior to McCrossen Consulting, for about a year and half I was an unemployed disabled veteran. I was self-taught in design, IT and sales. Quickly growing a new company that helped pay the bills was an amazing achievement; yet early into it I wanted to make a vision and business model change. The decision was made and applied because I knew my clients’ brand and needs, I had enough experience and network in San Antonio to confidently state I knew the local market, and I wanted to innovate. I wanted to find a way to help San Antonio discover my clients’ offers and brand that felt more like an experience than a sales routine. I wanted to develop a local marketing agency that generated more revenue for my clients by creating integrated marketing campaigns with local resources. I wanted to commit to local brand engagement with my new DSLR, mastery of my Internet marketing skills, and the excitement my clients had for the new way forward. Overcoming marketing industry issues by accepting and innovating! If you haven’t figured it out or missed it somewhere on the platform I re-published this blog post, my name is Matt McCrossen the owner and sole-proprietor of McCrossen Consulting LLC an Internet marketing service and consulting company. I am faced with the same marketing challenges as any other sole-proprietor or agency. Perhaps the biggest difference is right now the only decision maker in my company I have to convince is my wife. If I were an employee there would likely be some several layers of management, and owner or two and perhaps a board. Seeing as how a DSLR is a write off and I can “borrow” it on the weekend for family use, that purchase wasn’t to hard of a sell. What I was faced with was a situation in that the stock imagery I used, while creative, didn’t represent my clients’ brand to the best I thought it should have. In some cases, other agencies were using the same stock graphics or photos for their campaigns. Over time I acquired a nice set of accessories from closing businesses, consignment stores and eBay. At this point I could probably charge for professional head-shots with the equipment I have. The main point here is that I produce the vast majority of visual creatives for my clients now. Those clients who run e-commerce or brick and mortars are given a few sessions a year, but trained on the equipment they have to produce the content I need to market their brand professionally. There’s a reason I need a lot of photos, a lot of unique photos. In the study one of the biggest challenges was developing new creative content. By accepting the challenge it opens up a discussion for solutions that generally result in successfully overcoming the challenge. In my case I take the photos I need to use in marketing material, social media and other mediums, or my clients take photos and send them to me for editing and distribution on the different platforms. Another challenge the study identified is what key performance indicators (KPIs) does your team use to determine the success of a marketing campaign? At my level and with the trust clients place in me we only focus on clicks and revenue. I’m sure larger agencies struggle with creating KPIs and what is justified as an return on investment (ROI). Again at my level, year XXXX you had your office in your home, a year with Matt and you have a building. A challenge not shared with 78% of my marketing peers is that I don’t share the same images across every or most marketing channels. Generic content for clients gets blasted to every API I’m connected to. Creative content with a specific purpose like engagement is unique to each platform. Oh, and I mean real social media engagement where I want a user to message my client so I can reply, engagement and drive a converting action for my client. Let’s dispel any super-Matt thoughts on this. Simply taking a PSD, turning a few layers on, replacing a few images or in general a modification taking less than 5 minutes usually results in a unique creative. It’s the difference between what resonates in the Google+ channel compared to what Facebook users want to engage with. In closing I hope my book I just wrote for you helps in some way. We’re all under pressure to show results, so we all share at least one similar stress generator as marketers. With organizations like IMA we have sources to turn to for guidance, or confirmation that no we are not crazy, yes this stuff is difficult work! What’s great about our industry is that we share information. We all compete on some level, but we share freely our experiences and challenges. It’s a kind of collaborative-innovation as we share and develop new solutions in our dialogue.